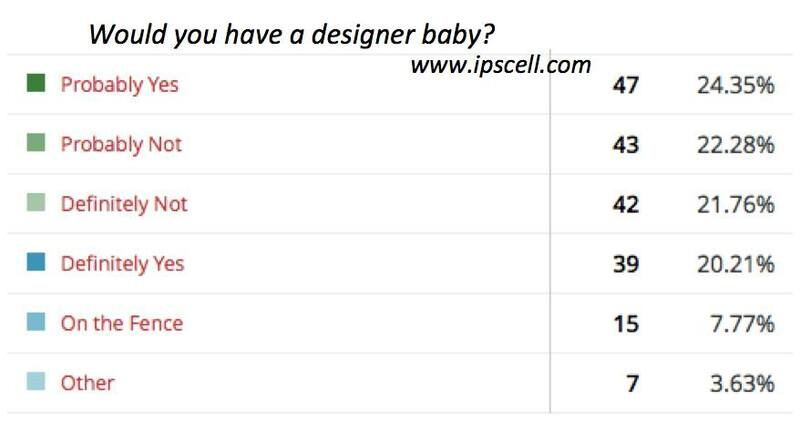 A few weeks back I started a poll focusing on whether people would have a designer baby if they could. With nearly 200 responses so far, the results are very mixed (see image). One conclusion from this I think is that we need more information on possible risks versus benefits. Another element here is that the poll, as one commenter pointed out, did not divide between health-related and enhancement motivations behind having the designer baby. I may do a future poll including that divide. Looking at the votes geographically, interestingly respondents in the UK were shifted more toward “Yes” than other countries such as the US. A reminder that Internet polls are non-scientific.